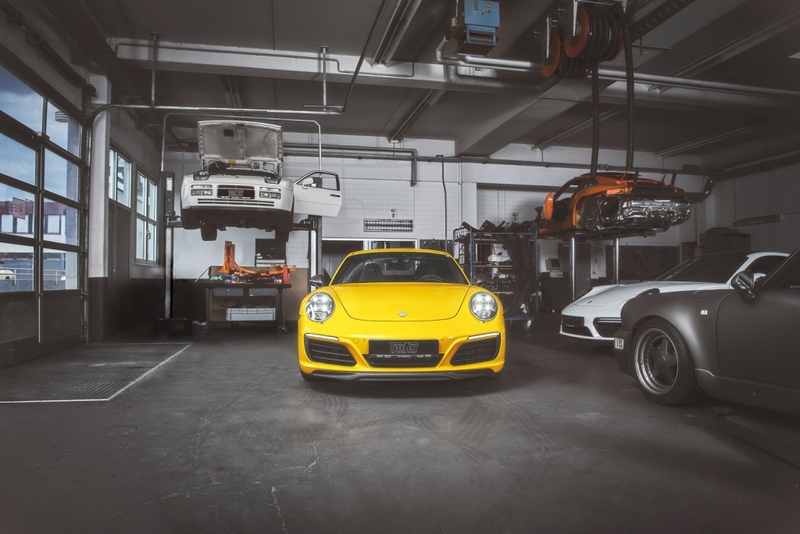 Correspondingly the world of the 911 starts with the Carrera. But already the 911 Carrera plays in its own league. Wether performance, quality or desire. With the new Carrera T the Porsche generation 991.2 grows. With progressive settings and more puristic. 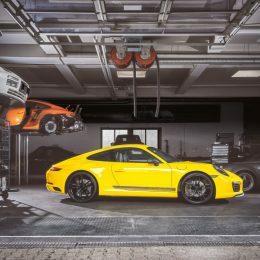 The TECHART Performance Package promotes the Carrera T to a higher level. 430 hp and 530 Nm. More power and torque than a Carrera S. The price: € 8.000,- incl. vat. Two components, one result: pure performance. The first component is a not visible part. But you can feel ist very well. 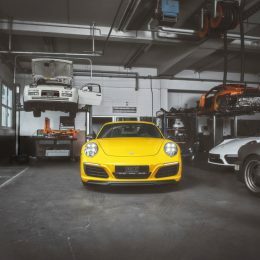 The TECHART TECHTRONIC Powerkit for the 911 Carrera T changes standard 370 hp into 430 hp. The torque rises from max. 450 Nm to powerful 530 Nm. 0 to 100 km/h: 4,0 seconds. Top speed: 300 km/h. The second component for the senses is the valve controlled exhaust »Racing«. The deeper and more powerful boxer sound is a joy to your ears. It sounds spectacular, it feels impressive and it looks great. Because the exhaust with four titanium end tubes and carbon-fiber jacket is an unequivocal statement. Powerful technology and a striking design. 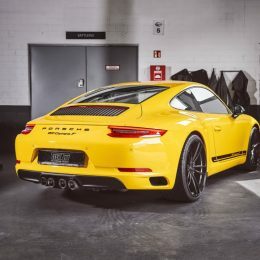 The TECHART Performance Package for Porsche 911 Carrera T. A little more, for more driving pleasure. 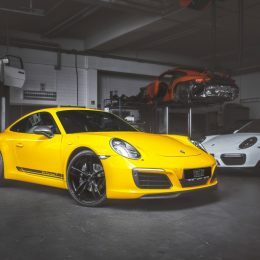 Performance Package for Carrera, Carrera S and Carrera GTS Models. 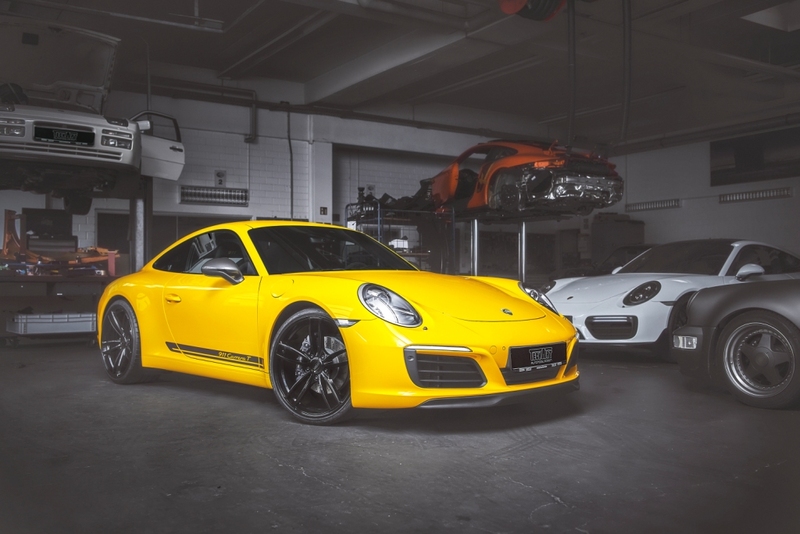 You can get the Performance Package for Carrera, Carrera S, Carrera GTS and the four wheel drive equivalents too. The power of the Carrera S models rises to 480 HP and 580 Nm torque. 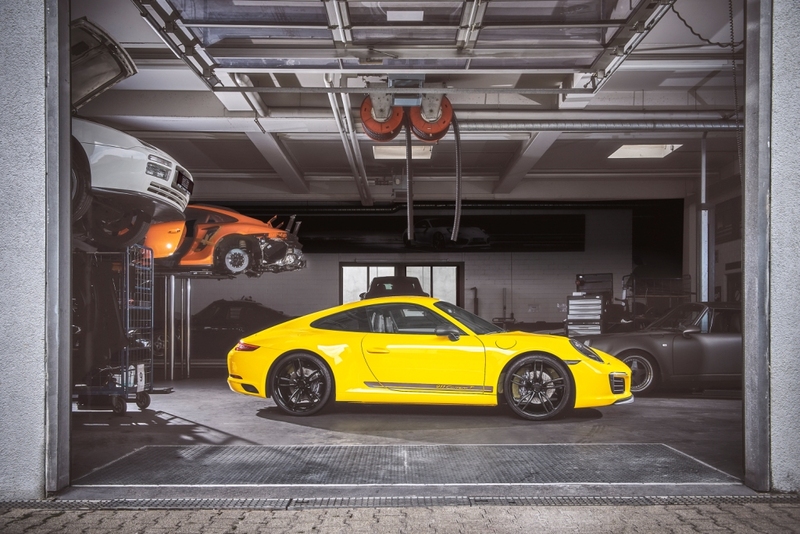 The power of the Carrera GTS models changes into 510 HP and 630 Nm.